Life wouldn't be the same without a Shih Tzu! 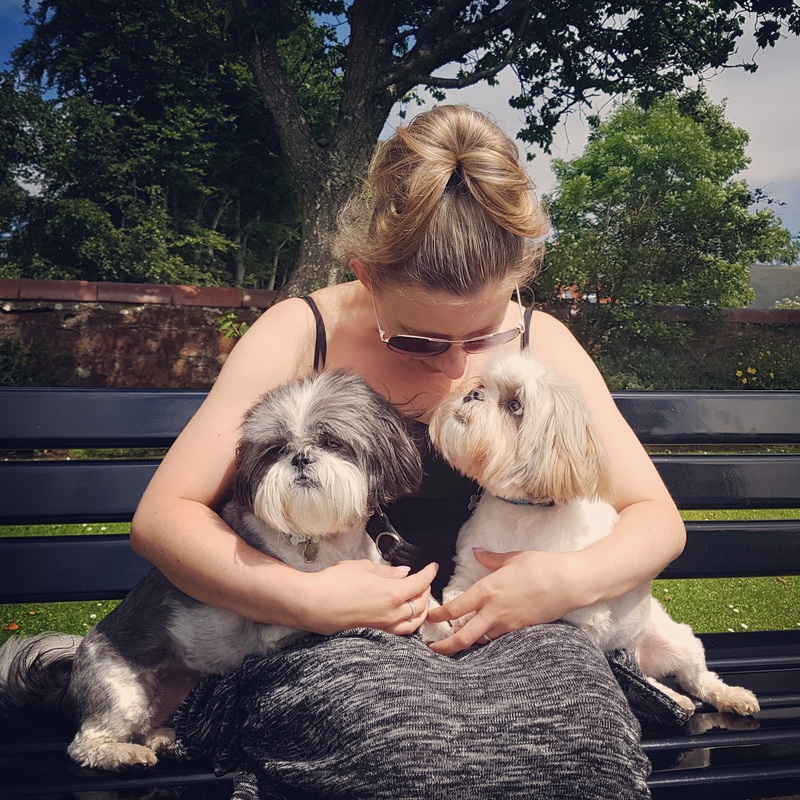 The life of 2 Shih Tzus, let our journey continue. Pixie and Roxy are my life and we want to share our life together with you all. When I was young I was terrified of dogs and was the girl that crossed the road or held my dads hand when one walked down the street. Growing up I got over my fear and now love them. I am the proud owner of 2 adorable but yet cheeky little Shih Tzus. Pixie and Roxy have 6 months between each other and from different litters. They are not biological sisters but as good as. At the age of 3 Roxy was diagnosed with arthritis in the spine and pelvic area as much as this broke me I stay strong and think positive. Trying to keep her comfortable and pain free. We like to keep you up to date with her condition through our blog posts. Pixie on the other hand in her old age is a grump, if this is her now I hate to think what she will be like when she is actually older. Two Shih Tzus with very different personalities but I wouldn't have them any other way. I am a full time Registered Nurse and nurse Veterans, I find this a very rewarding profession. It can be tiring and very stressful at times but I love my work. In my spare time I love to share my life with Pixie and Roxy as much as I can through our social media sites. It may seem that I don't post as much sometimes but that just means my shifts are crazy. I love sharing our experience with trying new products, Pixie and Roxy deserve the best.